Years ago, I used to waitress at a fun little breakfast spot. I’d get there at 7am, and by the time my shift was over, I was starving, dyyyyying for lunch. Right next store was a middle eastern restaurant that served the most delicious tabbouleh ever. It was packed with fresh herbs and garlic, and I literally wanted to lick the plate afterwards. I didn’t, though. Okay, maybe just once or twice (wink). I wanted to recreate that lovely dish I used to enjoy so much, which is something I really enjoy doing (see my Whole30 Kung Pao Chicken or Whole30 Spaghetti and Meatballs), and this is dish is herby, lemony, and fresh, with all the delicious middle eastern flavors of tabbouleh, but made grain and gluten free. 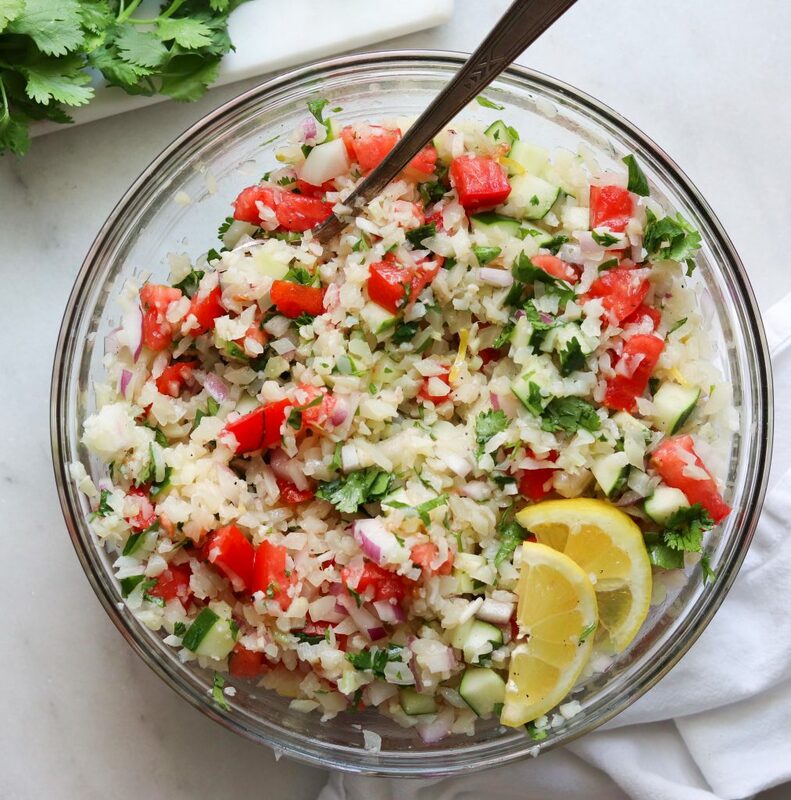 Traditionally, tabbouleh is made with bulgar, so I simply switched the grains for cauliflower rice (which is a fabulous and unbelievably easy substitution) and whammo, it’s Whole30 Tabbouleh. This dish eats more like a salad than anything else, but that’s because I made this very veggie-heavy. It’s just how I like it– when you give me anything crunchy and fresh, I’ll be a happy lady. 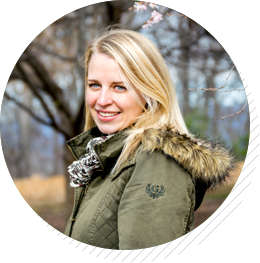 What we have to do is mix things up sometimes — Whole30 will get really boring really fast if you do the same thing over and over. So feel free to customize the herbs and veggies that you add. Some people hate cilantro, I get it (well not really, but I won’t judge you if you hate it). Substitute more parsley or extra mint. You can add in bell peppers or leave off red onion if that’s not your thing. You do you. And fun fact – this actually tastes better the next day. And if you want to make this a complete meal? All you need is grilled chicken or shrimp to make a perfect lunch or dinner. 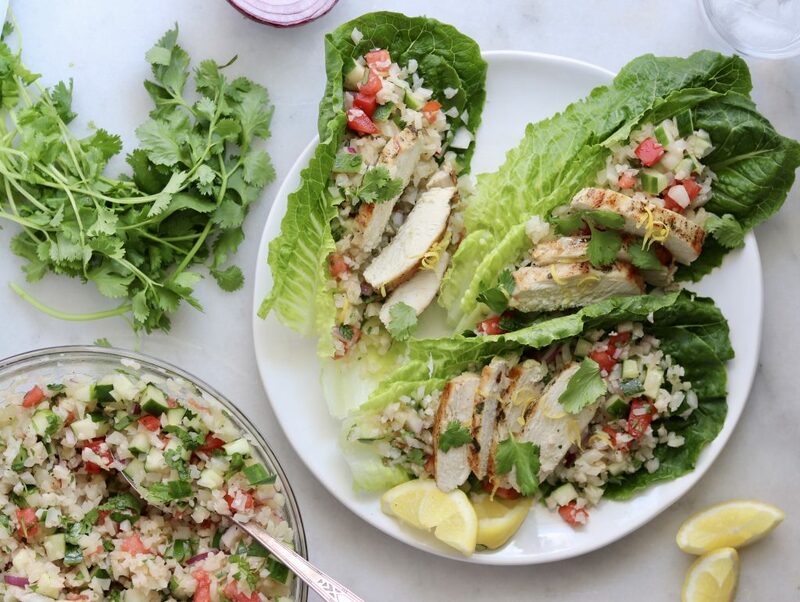 Or if you have some lettuce, BAM, you’ve got crowd pleasing, super flavorful Whole30 Tabbouleh Lettuce Wraps. I made these for my family and they were gone in about 5 minutes. The name of the game here is fun. I’m gearing up for another Whole30, and this recipe is going into the rotation at week 2. Because one thing I’ve learned about Whole30 is you have to be intentional about avoiding food boredom. Use a different type or cut of meat, try a new flavor combination, don’t roast or mash every vegetable you eat. Switch it up every so often, and you’ll be setting yourself up to succeed. An unbelievably simple side dish that’s Paleo, Low Carb, and Whole30 compliant. To make it a complete meal, just add grilled chicken or shrimp! Prepare the cauliflower on the stovetop or microwave. Set it aside and allow it to cool, then chill in the refrigerator or on an ice bath. Dice the tomato, cucumber, red onion and herbs. 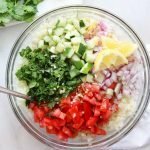 In a large bowl, mix it all together with the dressing. Garnish with extra slices of lemon and herbs. 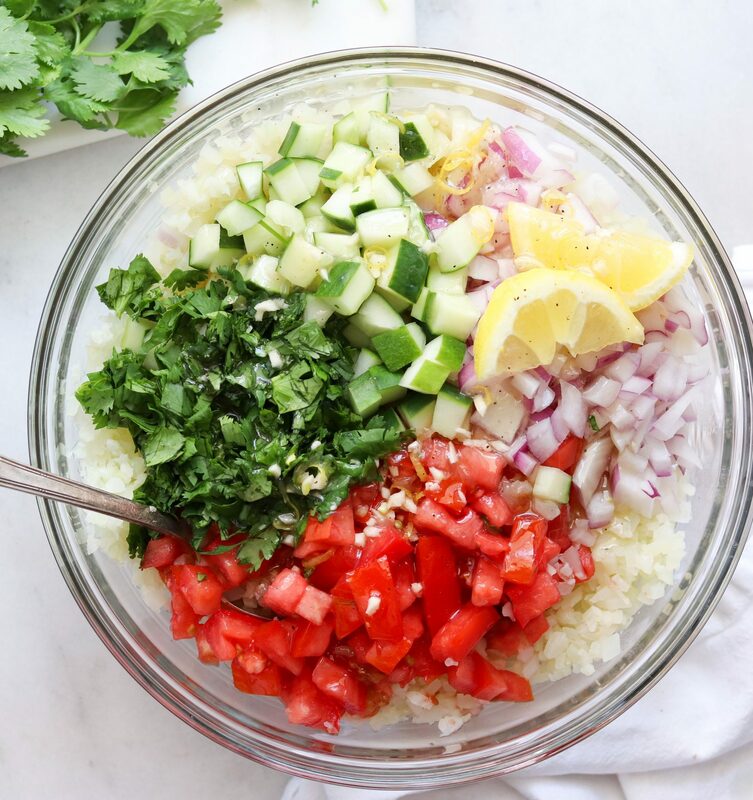 Have you made this Cauliflower Tabbouleh? Tag @cookathomemom on Instagram or leave a comment below! I made this last week and it was so good! We actually liked it even better the second day! I made this, and it was simply wonderful! I’m thrilled to hear you loved it!! Thanks! I hadn’t thought of using cauliflower! So smart. I only liked Mikonos’ Greek salad. I’ve expanded my taste since then! It’s an easy swap and really tasty! Hope you enjoy it! Approximately 1/2 cup per person usually?